March 5, 2019 — U.S. Commerce Secretary Wilbur Ross has made a change in leadership for the agency that oversees NOAA Fisheries. In a memo dated 25 February, Neil Jacobs told NOAA employees that Ross assigned him to the “nonexclusive” role of undersecretary and NOAA Administrator. He replaces retired Rear Admiral Timothy Gallaudet, who had served as the agency’s acting administrator. The switch will not change NOAA’s mission or priorities, Jacobs said. Jacobs said Gallaudet continues in his position as the assistant secretary for oceans and atmosphere in the Commerce Department. In this position, Gallaudet will work on the department’s Blue Economy initiative, which is looking to bolster how the U.S. can better leverage the resources in the world’s second-largest Exclusive Economic Zone. 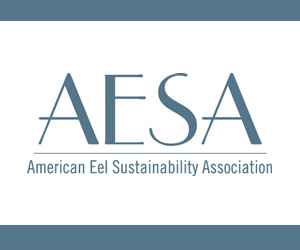 One of the priorities for the Blue Economy initiative is to examine how the U.S. can increase the amount of seafood America produces. Currently, America imports roughly 90 percent of the fish and shellfish consumed annually. The initiative also calls for surveying for oil and gas exploration. March 5, 2019 — Virginia will not face penalties for failing to formally adopt new catch limits on Atlantic menhaden — as long as harvests stay within limits established by East Coast fishery managers. The decision by the Atlantic States Marine Fisheries Commission in February headed off a potential legal showdown as to whether it had scientific justification for slashing the commercial menhaden harvest in the Bay in 2017, even as it raised catch limits along most of the coast. Since then, the Virginia General Assembly has twice failed to adopt the commission’s mandated annual Bay cap of 51,000 metric tons. Failure to adopt the limit put the state out of compliance with the commission’s regulations. 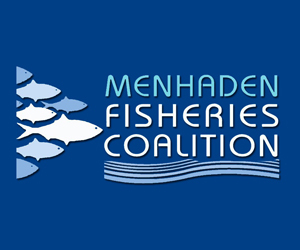 As a result, the ASMFC could ask the U.S. Department of Commerce to impose a moratorium on all menhaden harvests in Virginia. Twice last year the ASMFC considered, but delayed, such an action. 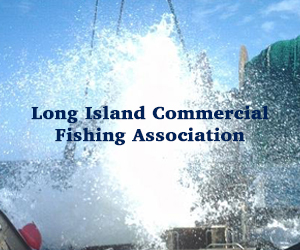 February 11, 2019 — Virginia’s menhaden fishery gets a major victory, as Atlantic fisheries managers decide not to hold the Commonwealth out of compliance with its most recent catch limits. Back in fall of 2017, the Atlantic States Marine Fisheries Commission (ASMFC) voted to reduce the maximum allowable harvest on the Chesapeake Bay from 87,216 metric tons to 51,000 metric tons a year. Virginia’s legislature failed to adopt the reduced catch limits, after the East Coast menhaden fishery’s biggest player, Omega Protein, argued the reduction was unnecessary. 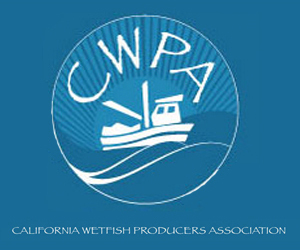 Under law, the U.S. Department of Commerce can put an immediate moratorium on a state that doesn’t comply with catch limits. ASMFC won’t seek a moratorium from the Department of Commerce, announcing it has “indefinitely postponed” action to find Virginia out of compliance. ASMFC explains, the Virginia fishery has stayed within the limits of a precautionary “Bay Cap” that was imposed to protect the small, oily fish as an important link in the Chesapeake Bay food chain. 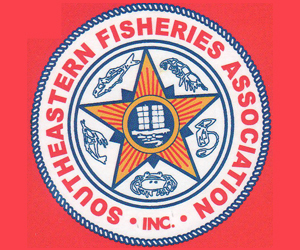 January 16, 2019 — The government shutdown is jeopardizing jobs and tens of billions of dollars in revenue for the heavily regulated commercial fishing industry, a coalition of groups representing fishermen from Cape Cod to Alaska said Tuesday. The Commerce Department’s fisheries service has furloughed key employees that help to oversee commercial fishing operation and the quotas handed out to fishermen that need to be in place and enforced before they can enter the water. Without the oversight, fishing data isn’t collected, and the risk of overfishing becomes a problem. That situation prevents fishermen from working and results in lost catches. Specifically, a plan worked out between the federal government and anglers to fish for highly prized red snapper in the Gulf of Mexico could be in jeopardy due to the shutdown. December 27, 2018 — Attorney General Maura Healey Thursday joined a multistate lawsuit against U.S. Secretary of Commerce Wilbur Ross and the National Marine Fisheries Service (NMFS) to put an end to a plan that allows harmful seismic testing for offshore oil and gas resources in the Atlantic Ocean. According to a news release from Healey’s office, the lawsuit, filed in the U.S. District Court for the District of South Carolina, joins a challenge by environmental groups last week against Incidental Harassment Authorizations (IHAs) recently issued by NMFS that permit five private companies to harm marine wildlife in connection with seismic testing for offshore oil and gas exploration in the Mid- and South-Atlantic Ocean. Healey’s office said the action reflects her longstanding opposition to the Trump Administration’s plan to open up nearly all currently restricted ocean areas — including federal waters off the Massachusetts coast — to oil and gas drilling. Healey announced the multistate lawsuit at the New England Aquarium alongside aquarium officials, fishing industry representatives, business community leaders, and environmental advocates. December 27, 2018 — The partial shutdown of the federal government continued into its fifth day on Wednesday and NOAA Fisheries appears to be operating – or not – just as it did during the partial shutdown that shuttered much of the government back in January. No one answered the phones at NOAA Fisheries media relations offices in Washington, D.C., and Gloucester on Wednesday – the first full business day following the partial shutdown – so it was difficult to identify which employees whose duties have been designated as essential while up to one-quarter of the government is closed. In all, the partial shutdown, initiated by lapsed appropriations and President Donald Trump’s campaign to fund and build a wall along the nation’s southern border with Mexico, is expected to impact about 800,000 of the 2.1 million federal workers. NOAA Fisheries announced today the certification of a new survey design used to estimate Gulf red snapper caught by anglers fishing from private boats in Florida, building on an agency priority of collecting accurate and timely recreational fishing data. Florida’s survey is one of several survey designs developed by the Gulf States in collaboration with NOAA Fisheries to supplement the agency’s Marine Recreational Information Program (MRIP) angler surveys as well as improve monitoring of the Gulf red snapper fishery. Once Florida and NOAA Fisheries collaboratively develop and implement a transition plan to integrate the Gulf Reef Fish Survey with the MRIP survey, the resulting estimates can be used in Federal stock assessments and fishery management actions. Moreover, the survey is now eligible for Federal funding, pending availability, to support implementation efforts and ongoing improvements. To learn more about Florida’s Gulf Reef Fish Survey, similar efforts in other Gulf States and the Marine Recreational Information Program go to countmyfish.noaa.gov. November 14, 2018 — North Carolina Gov. Roy Cooper is seeking additional funding to help coastal communities deal with the damages weathered by the state’s fisheries following Hurricane Florence. In a letter to Secretary Wilbur Ross, Cooper has asked the U.S. Department of Commerce to declare a federal fishery resources disaster. 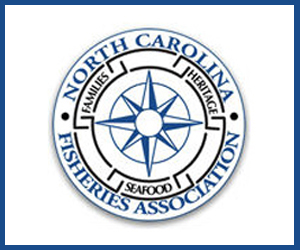 According to the state Division of Marine Fisheries, the North Carolina commercial fishing industry generated more than $96 million in revenue in 2017. 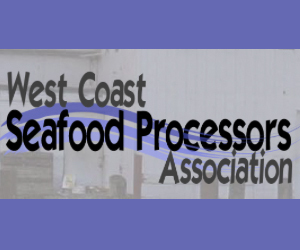 Declaring a federal fishery resource disaster can assist with long-term relief for commercial fishing families struggling to make a living while repairing their businesses. Hurricane Florence’s historic rainfall and powerful winds destroyed boats, gear and buildings critical to fishing businesses. “Federal fisheries disaster assistance can provide the means to a longer-term recovery that North Carolinian fishermen so desperately need,” wrote Cooper. November 12, 2018 — Gov. Roy Cooper has requested help from the federal government to assist state fisheries hit by Hurricane Florence, and some local fishermen and seafood dealers are pleased with his actions. According to a Nov. 2 press release from the governor’s office, Gov. Cooper has urged the U.S. Department of Commerce to help provide additional resources and funding to help North Carolina fisheries affected by Florence. 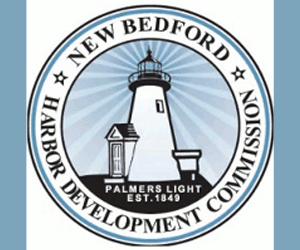 This request follows a $1.6 million appropriation in September by the state, in response to a recommendation from Gov. Cooper to appropriate $12 million, which the N.C. Division of Marine Fisheries will use to compensate fishermen and shellfish harvesters for equipment and income loss. In Beaufort, Cannon Seafood owner and operator Gary Cannon was pleased with the governor’s efforts to help restore the fisheries. Mr. Cannon said his seafood dealership got four feet of water in its buildings, and he lost $30,000 in fishing gear. What makes losses like this especially difficult for commercial fishermen is that they can’t get insurance for it. Insurance for lost gear and income seems to be a significant concern for commercial fishermen. November 5, 2018 — North Carolina Governor Roy Cooper has called on the U.S. Department of Commerce for additional resources and funding to help mitigate the damages weathered by the state’s fisheries in the aftermath of Hurricane Florence. Cooper urged the Department of Commerce to declare a federal fishery resources disaster for North Carolina in a letter sent to Commerce Secretary Wilbur Ross. Such a declaration would provide aid and long-term relief to families relying on North Carolina’s recreational and commercial fisheries, according to Cooper. North Carolina’s coastal communities are reliant on marine fisheries, Cooper said, in terms of both the local economy and employment. In 2017, commercial fishing was responsible for more than USD 96 million (EUR 84 million) in revenue and supported hundreds of jobs, according to findings from the North Carolina Division of Marine Fisheries.